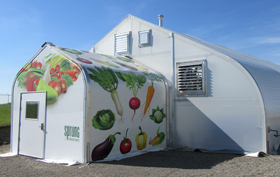 Sprung has extensive experience providing reliable, engineered greenhouses. 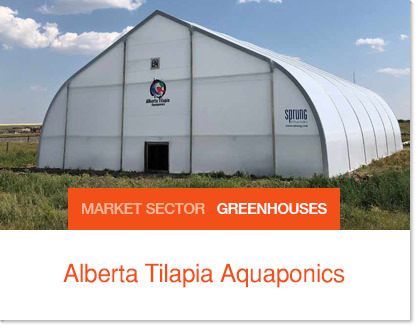 Airtight enclosures, clear-span designs are just some of the innovative solutions that Sprung offers growers around the world. 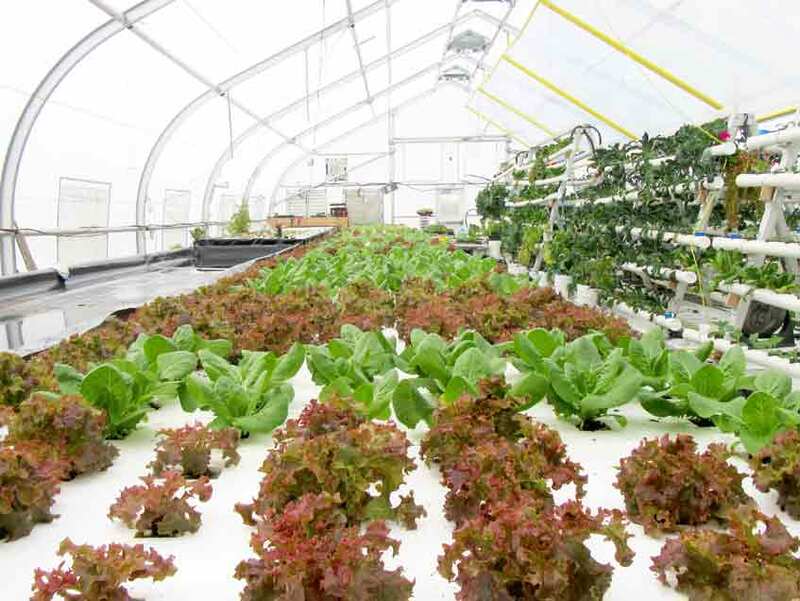 ARK is a greenhouse grower and alliance who operate Sprung’s corporate Greenhouse providing fresh produce 52 weeks a year. 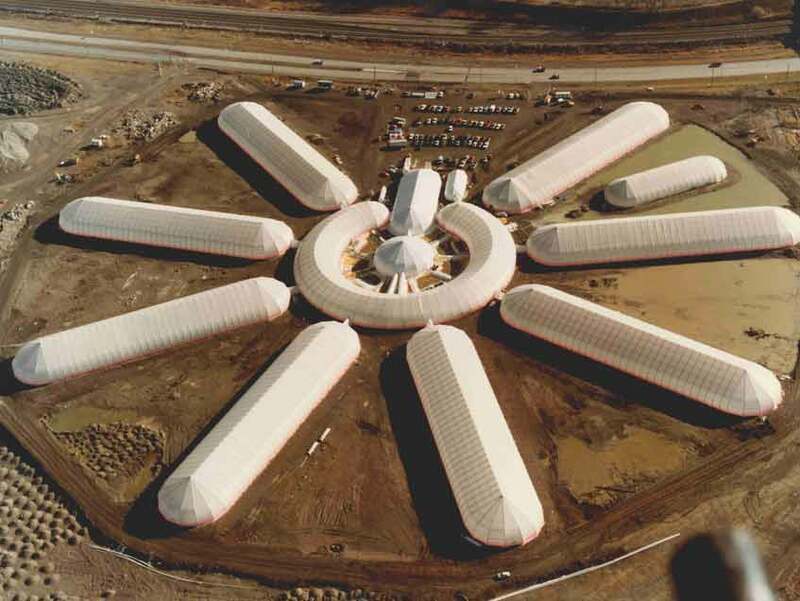 Sprung Greenhouse 1987 - Mount Pearl, Newfoundland	 After several years in research and development Sprung launched its first major project, a joint venture between Sprung and the Government of Newfoundland with the construction of a 300,000 ft2 (28,000m2) hydroponic facility. 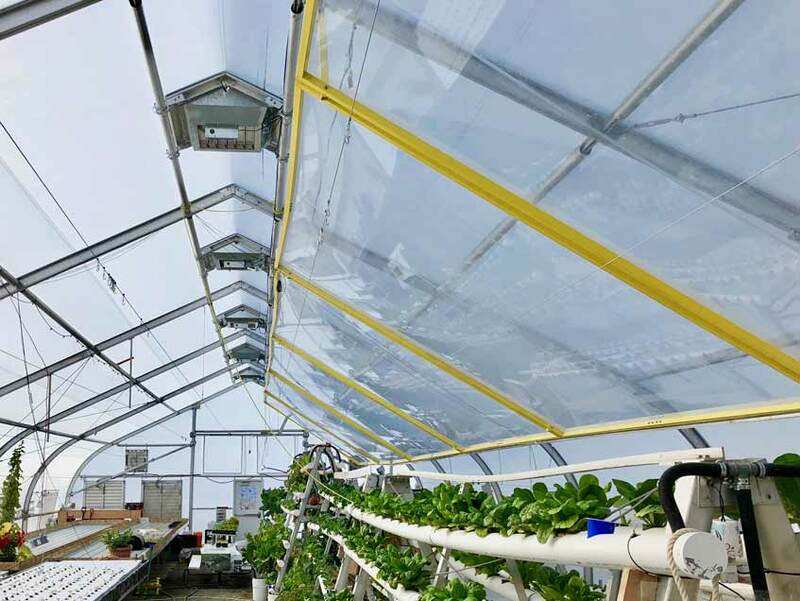 Greenhouse -Natural Light	 Our highly translucent greenhouse membrane creates an ideal growing environment with a little help from mother nature: Fire retardant and mildew resistant, 10 year pro-rata guarantee. 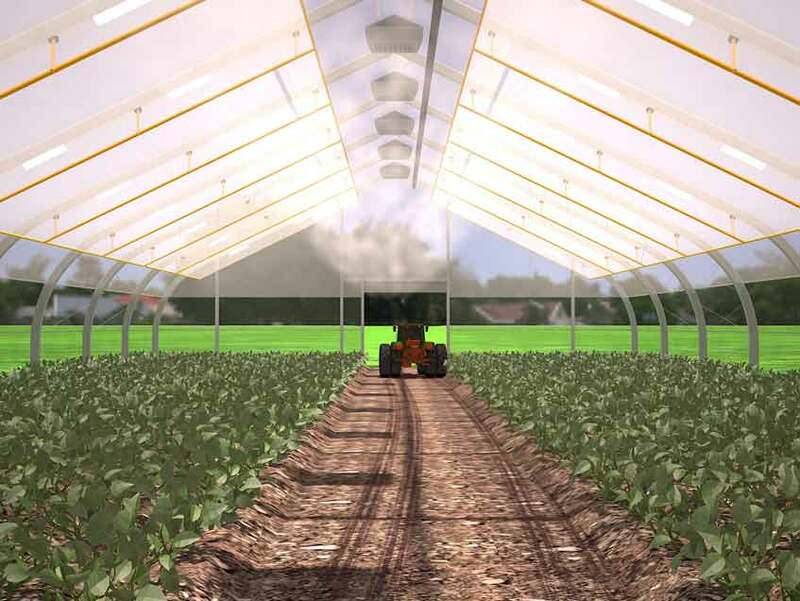 Diffused lighting eliminates shadowing, superior air tightness. 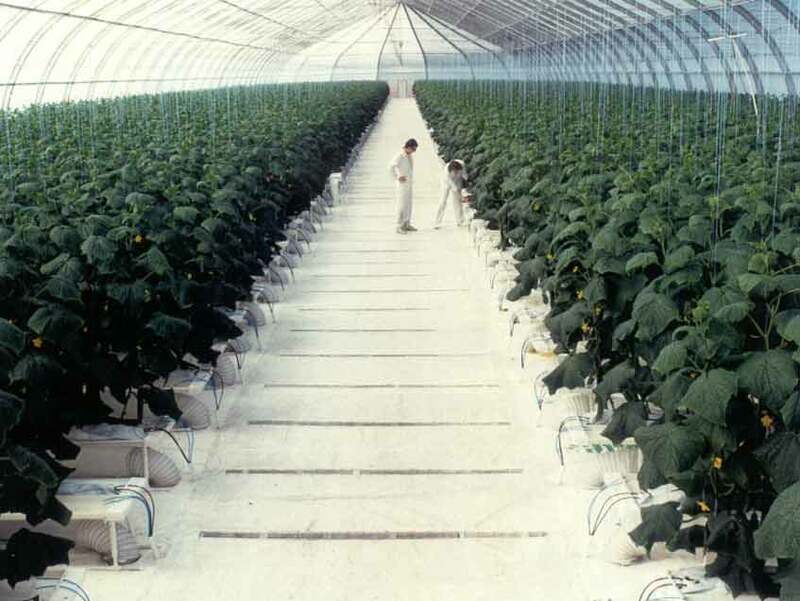 ARK (NVAC) Cooling System (for natural light greenhouses). 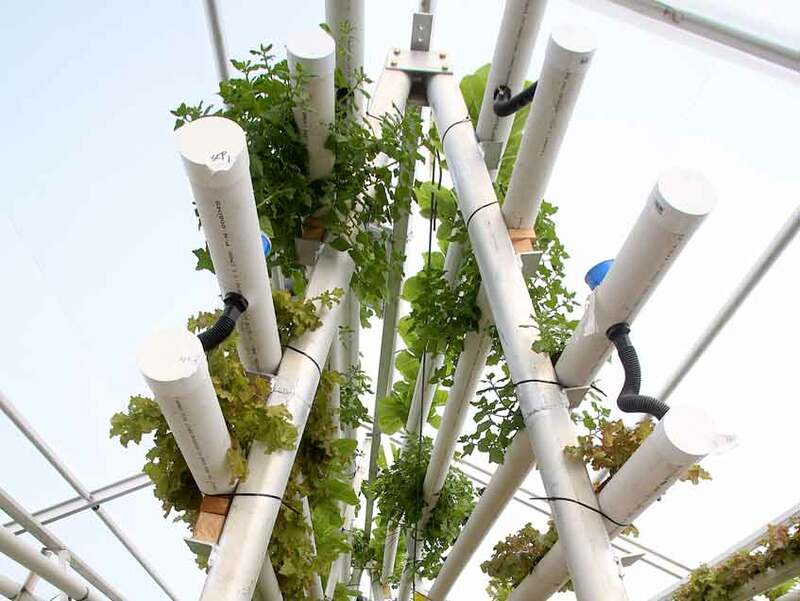 The ARK Cooling System is an evaporative cooling technology developed specifically by ARK for the Sprung Structure. 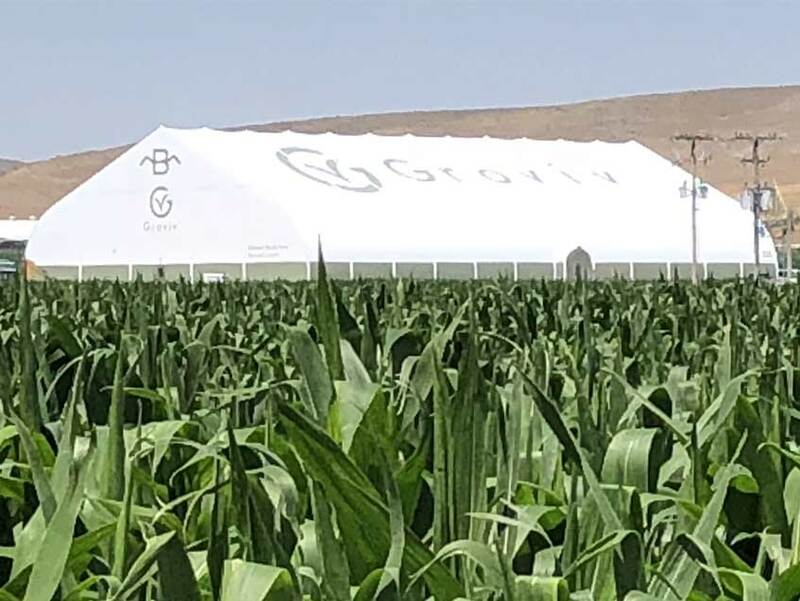 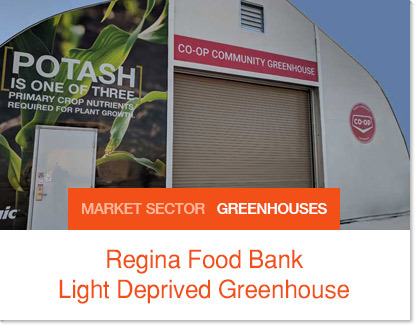 Light Deprivation Greenhouse - Groviv is an 18,000 ft2 (1,672m2) vertical farming operation	 Light Deprived Greenhouse - Two layers of architectural membrane envelope thick plant based insulation blanket that results in thermal efficiency complete with an air tight envelope. 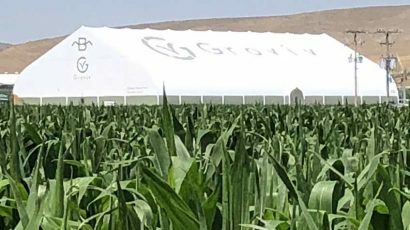 Sprung has extensive experience providing reliable, engineered tension membrane structure solutions for greenhouses. 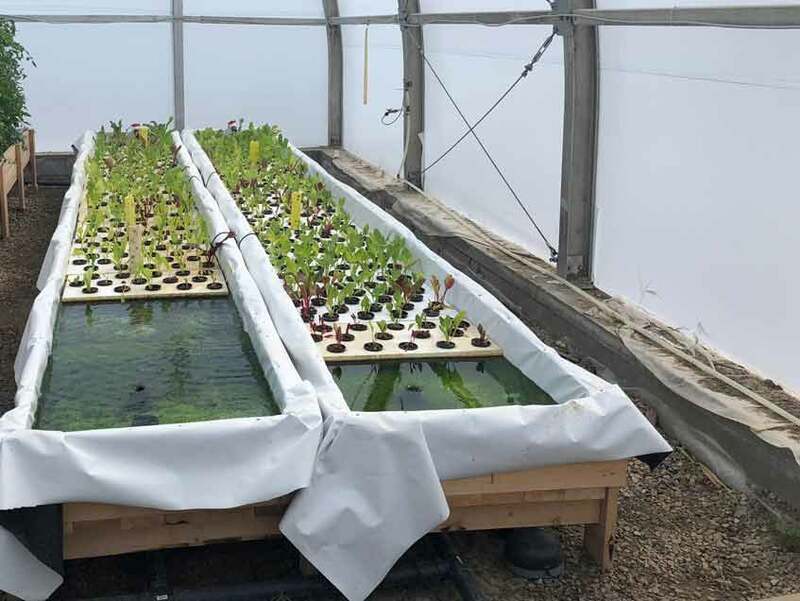 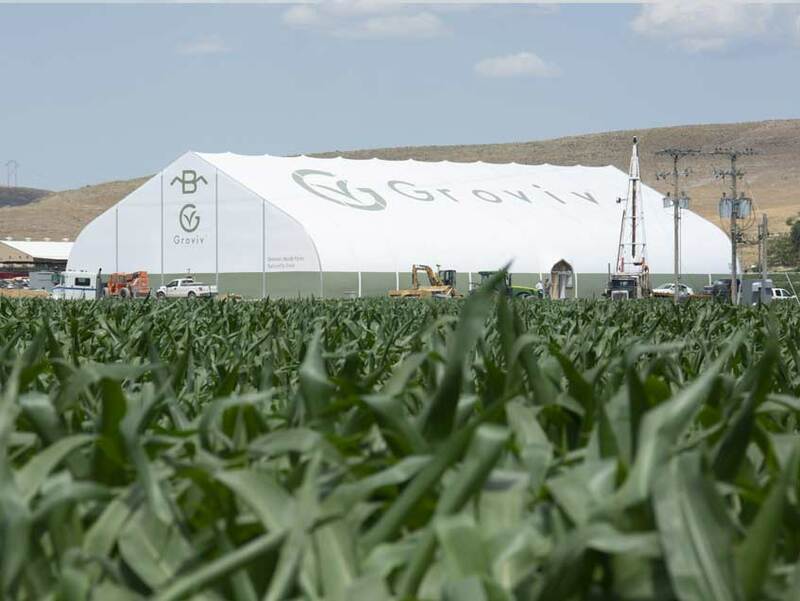 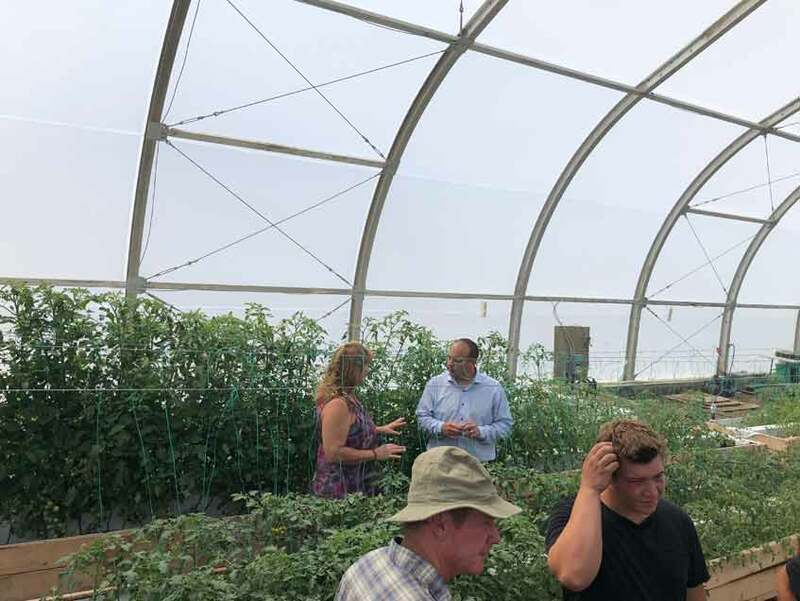 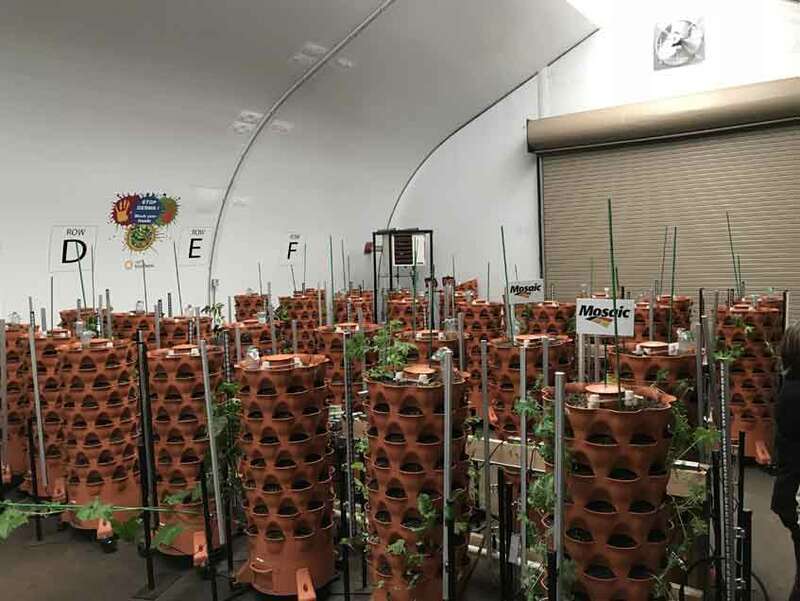 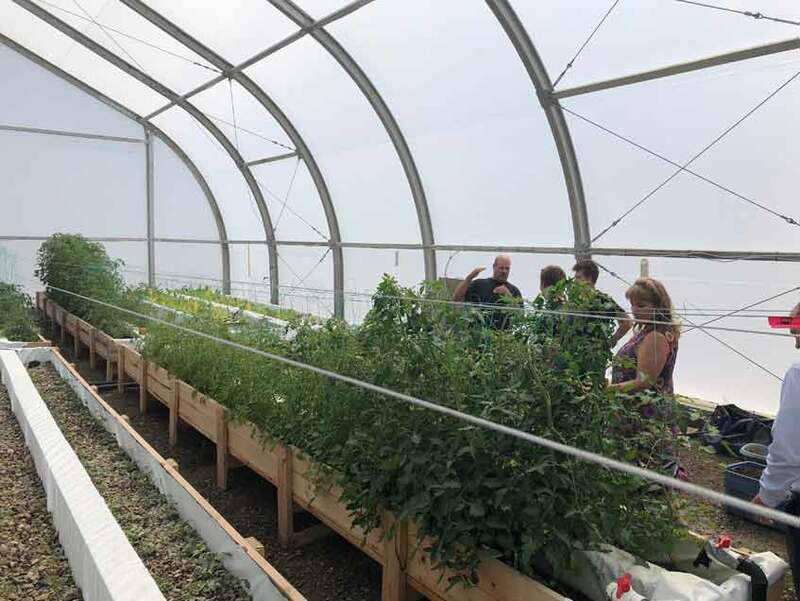 Airtight enclosures, clear-span designs and framed openings are just some of the innovative solutions that Sprung offers growers around the world. 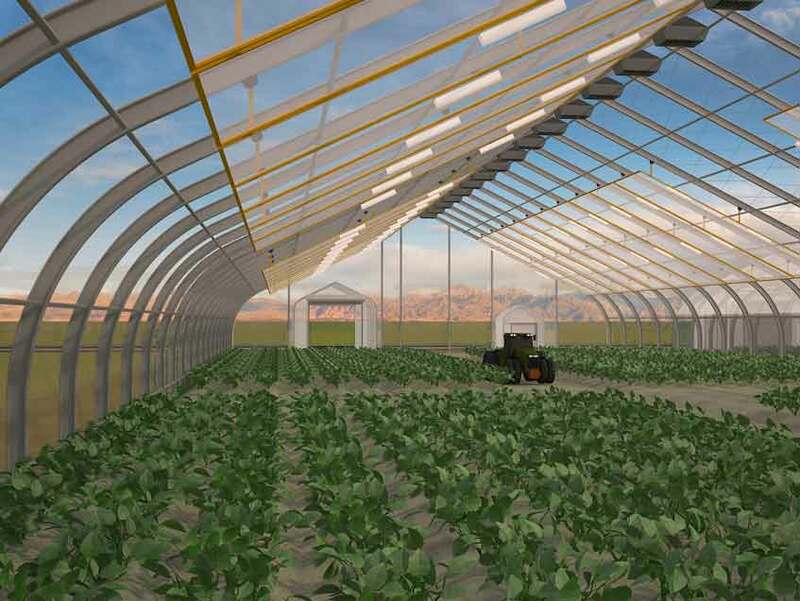 Our greenhouse structures use a custom greenhouse membrane for ideal transparency and refraction, or opaque membranes for more controlled growing environments. 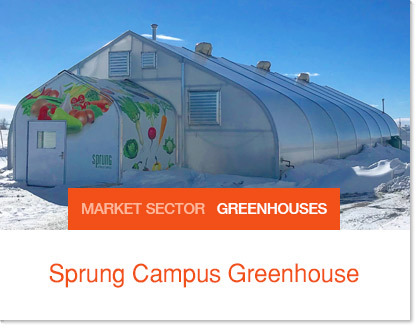 Sprung has lease and purchase options that provide cost-effective solutions for greenhouses of any size. 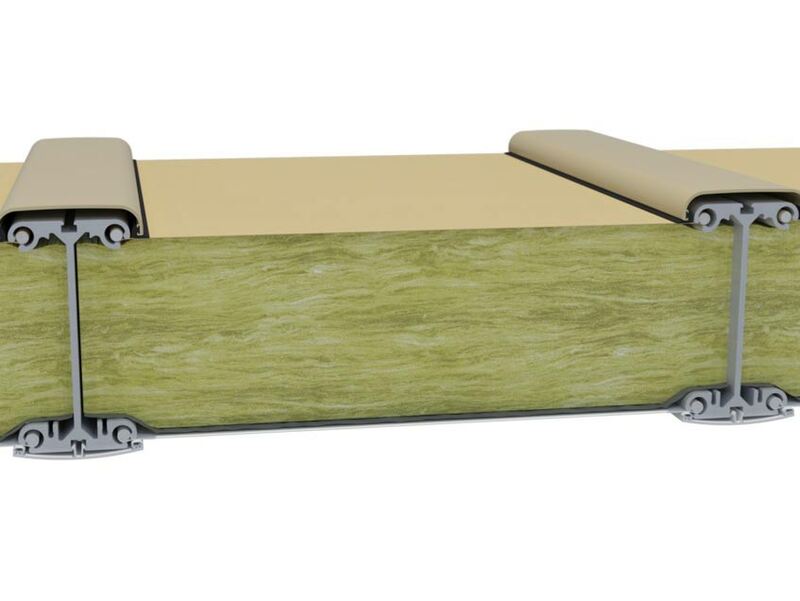 Renewable plant based fiberglass insulation enveloped by an exterior and interior membrane. 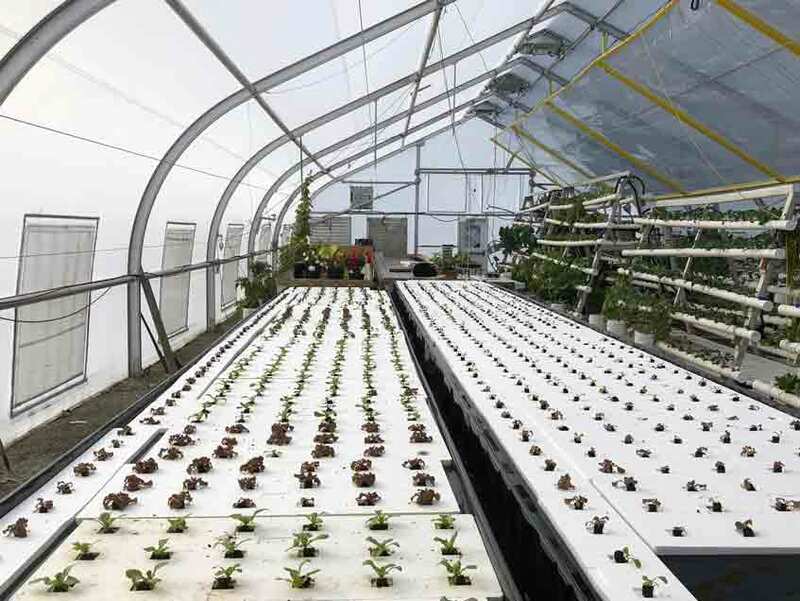 Technological advances in heating and cooling are now easily incorporated to significantly reduce cost. 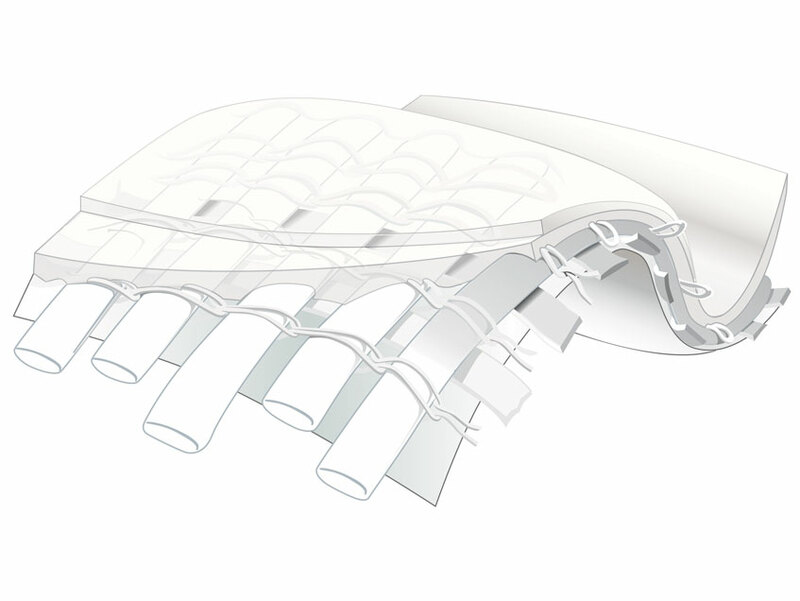 The Cooling System is an evaporative cooling technology developed specifically by ARK for the Sprung Structure. 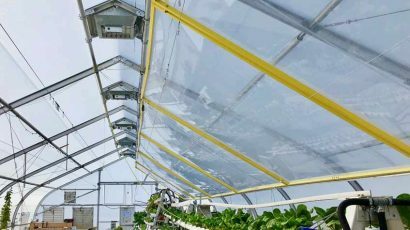 This patented solution has proven to cool the interior of the greenhouse during summer months between 6°C and 15°C (3.4 °F -22°F) cooler than external temperatures. 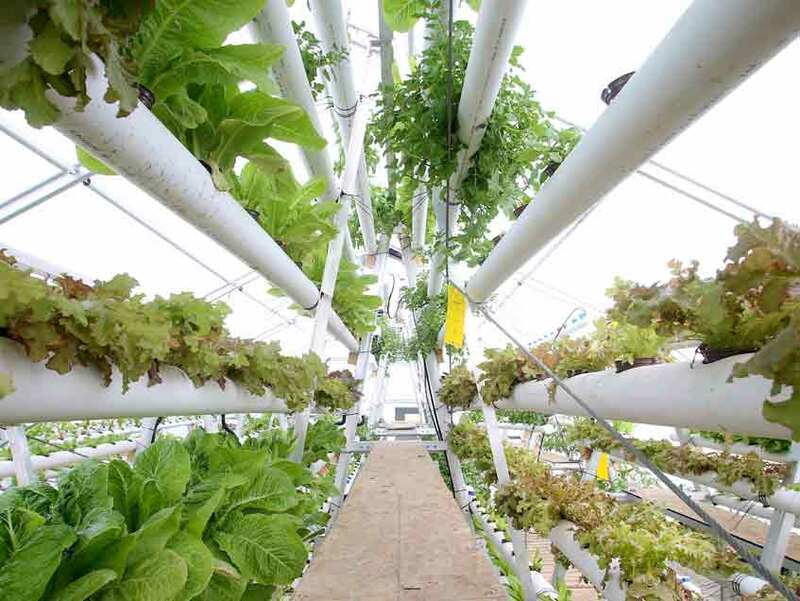 The ARK Cooling System uses approximately 5% (only 0.27kWh when operating) relative to that of an electric Swamp Cooler that at (4.9kWh) in the same sized greenhouse. 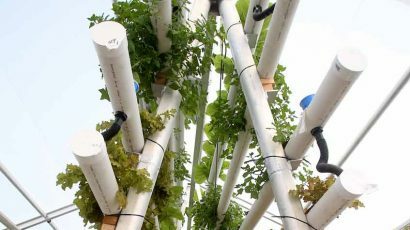 Source McGill NVAC thesis. 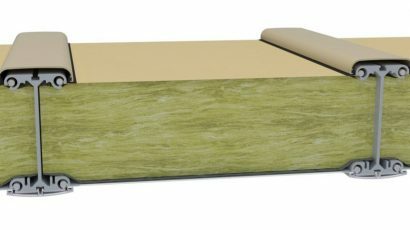 Sustainability includes zero waste going to landfill, 100% recyclable aluminum, LEED Certifiable, CSR and Green Circle Certified insulation. 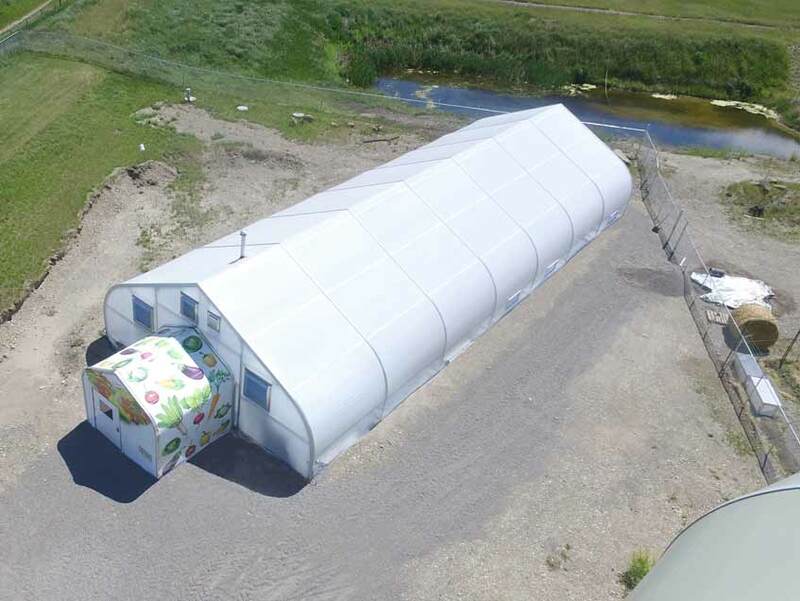 Immediate Delivery from Inventory – Fabric tensioned structures can complete projects in a much shorter time-frame than conventional construction. 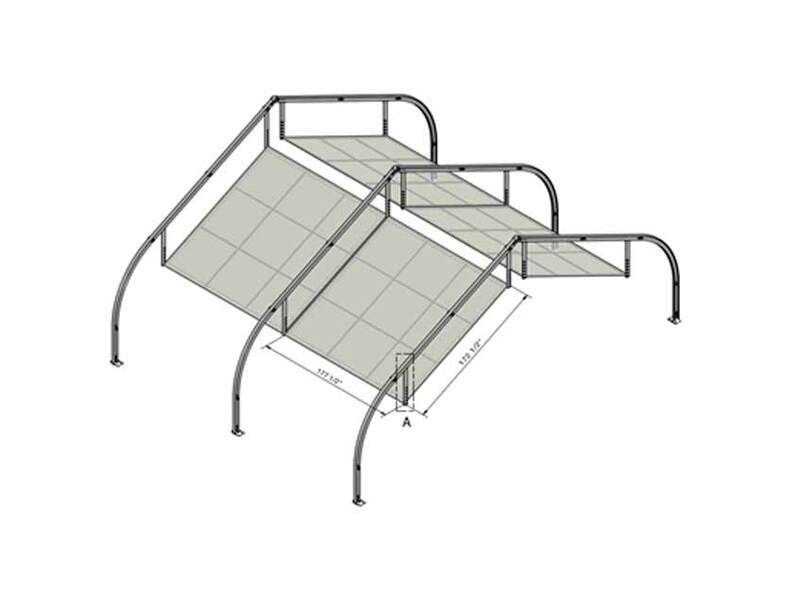 Limited to No Foundation Requirements – Structures can be easily anchored to existing asphalt or raw earth. 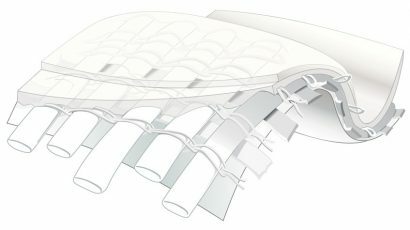 Airtight – Air tightness within a Sprung structure can be said to be almost zero due to the type of wall construction used. 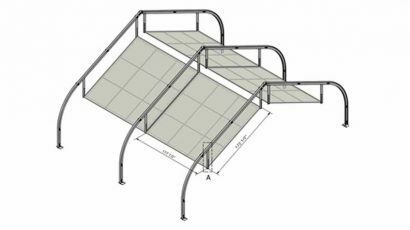 The entire building structure has been specifically designed to prevent air flow while maintaining strong structural integrity.